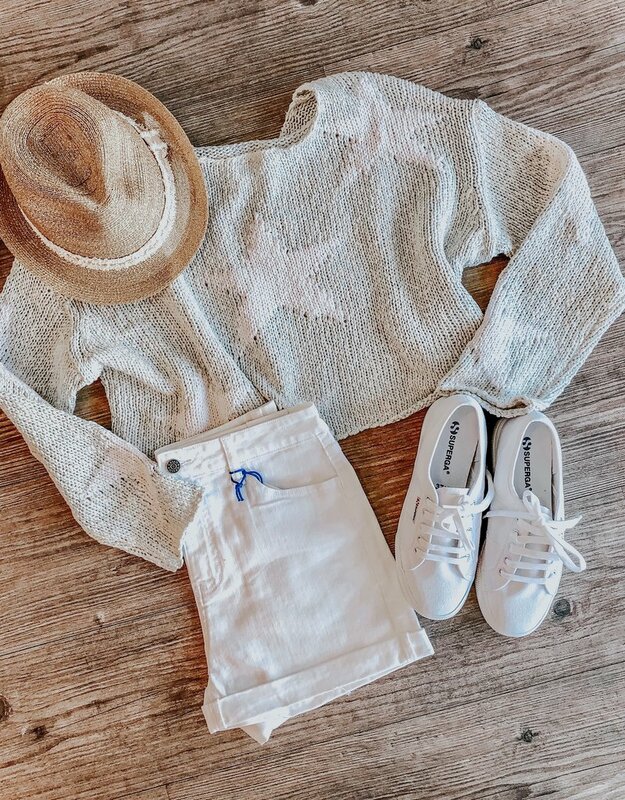 The Valentina Sweater is a very light blue knit sweater with white stars and hint of shimmer metallic threading throughout. The sweater runs true to size, but has a more cropped fit. Great for spring and summer nights!